Where should you stay in Da Nang if you’re on a budget? I will answer your question by breaking down the different areas of the city. By the end of this article you will not only have a good idea about where to stay, but you’ll also know a little bit about Da Nang’s neighborhoods. 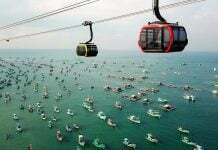 Da Nang, a coastal city located in Central Vietnam, is a perfect spot for every traveler’s getaway. With scrumptious food, beautiful beaches, and amazing scenery, it has stolen millions of hearts from the youth to the old. Whether you come here to relax or party, this article can help you find an ideal place to stay, so stay tuned and scroll down! A modern hostel inside a modern city – fairly reasonable, right? Only a few steps to the amazing Han river, Seahorse Hostel is a modern accommodation that can easily help you discover Da Nang to the fullest. Whether you want to have a relaxing leisure travel or a party-all-night trip with your friends, there will always be a room that can satisfy your demand. Not only do the rooms look inviting, well-furnished, and artistic but they also offer patios and phenomenal city views. Free wifi, a parking lot, a 24-hour front desk, and ticket service are also included. Doesn’t the room make you feel a little bit oceanic? 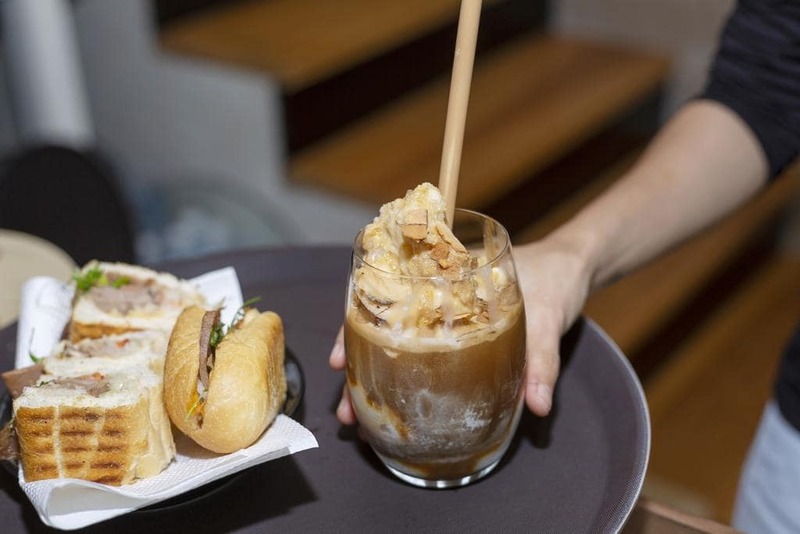 Downstairs is a Joi Coffee & Bar, where you can enjoy authentic Vietnamese cuisine and beverages, such as coffee with condensed milk or various banh mi selections. The Saigon banh mi has pate, BBQ pork, ham, pickles, and cilantro; meanwhile, the Da Nang banh mi features shrimp, pork belly, quail egg, lettuce, and chili sauce. By the way, don’t forget to try the specialty here – banana coffee milk which may sound a little bit strange but trust me and give it a try! Does cheap price pair with good quality? With AnNam hostel, the answer is yes! 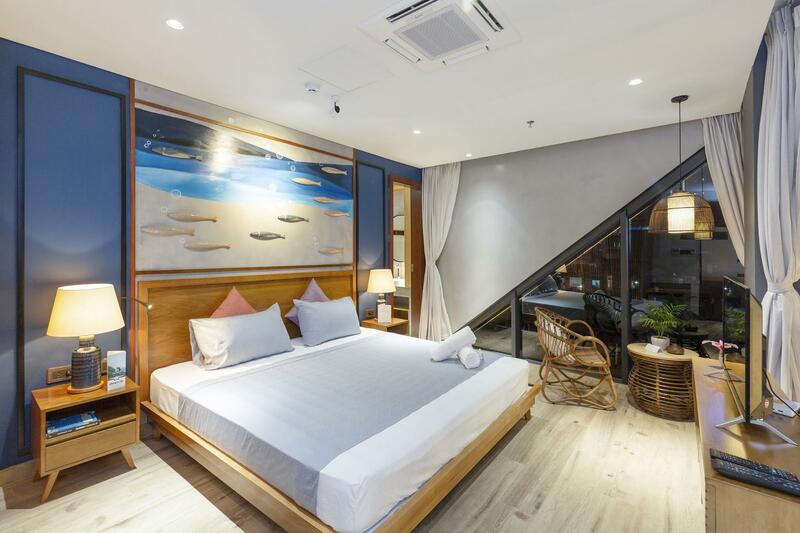 Only a few minutes from the main attractions of the city, such as the Han river and market, this hostel will help you explore the most of Da Nang. The fact that it only offers bunk beds in dormitory rooms can be a plus point if you love making new friends. All the dorms look simple and clean. Furthermore, they are equipped with air conditioners, free wifi, and a terrace or balcony with great views. 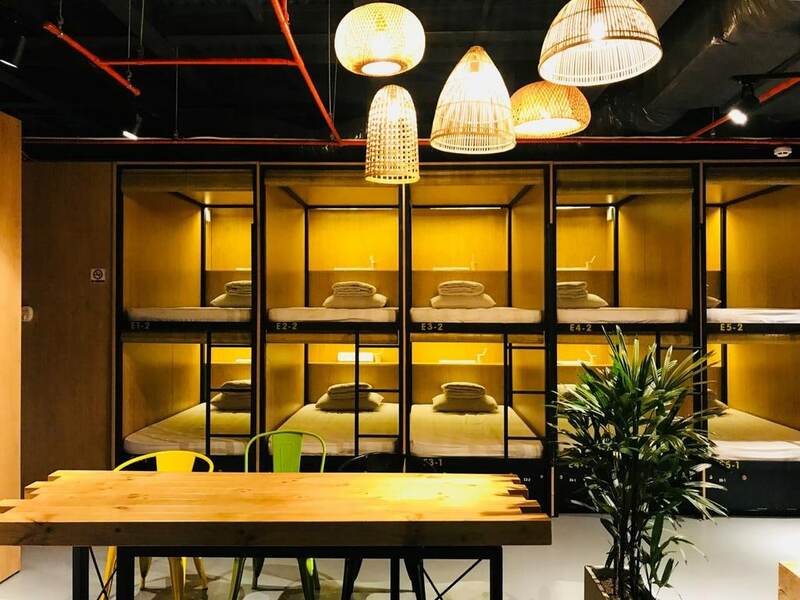 With the soft colors of yellow and brown, Stingray hostel makes visitors feel totally comfortable. 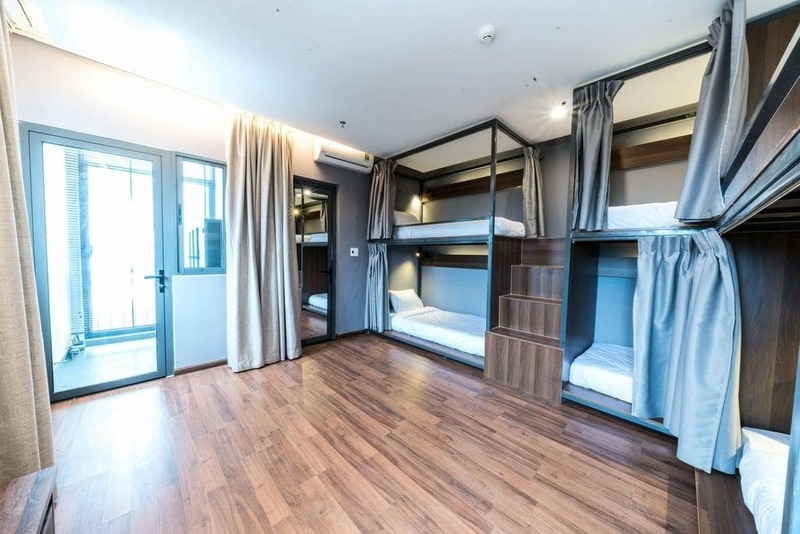 The hostel has every essential room for you to choose, such as bunk beds in a dorm, single rooms, or double rooms. Despite being absolutely clean, there are only shared bathrooms in the accommodation. But if you don’t mind this detail, be prepared to meet new friends and sleep peacefully! The name says it all! Seriously, who doesn’t love to tango – the upbeat, vibrant, and playful dance between two people? 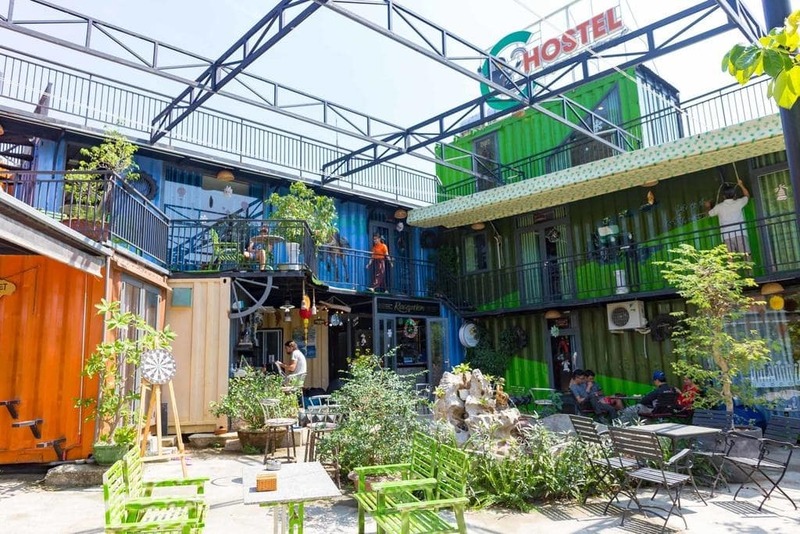 This hostel has just the same vibes: energetic, cozy, and welcoming. How many people do you have in your team? One, two, three, or only you? With bunk beds, single rooms, double rooms, and family rooms, the hostel can easily meet your needs. Private bathrooms, free wifi, and a bar are also provided. From the balcony, you can see the Han River and the Dragon Bridge. They are gracefully unbelievable at night, so don’t forget to grab a drink from the hostel bar and spend time admiring the outside scenery. Have you ever dreamed about a hostel that can also be a coffee house? Well, you’ve come to the right place! By opening a coffee shop on the ground floor, Kon-Tiki Da Nang is an awesome spot for travelers to engage in chit chat and to stay during their vacation. 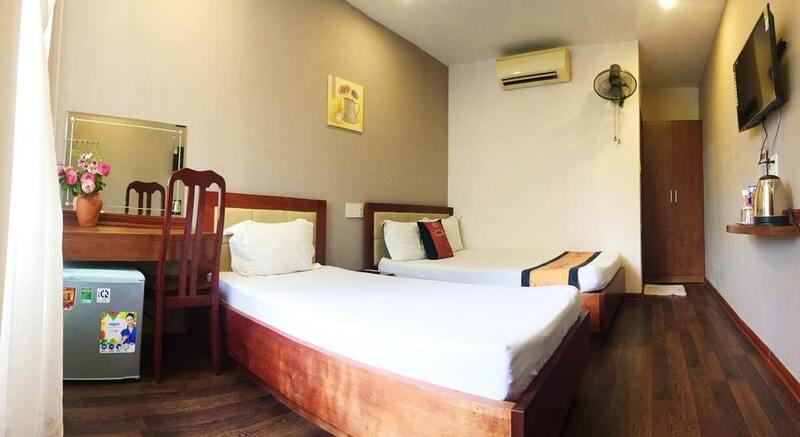 The hostel is well-furnished with stylish decoration from the picture frames on the walls to the modern bathrooms, making it a unique accommodation that you can never forget. 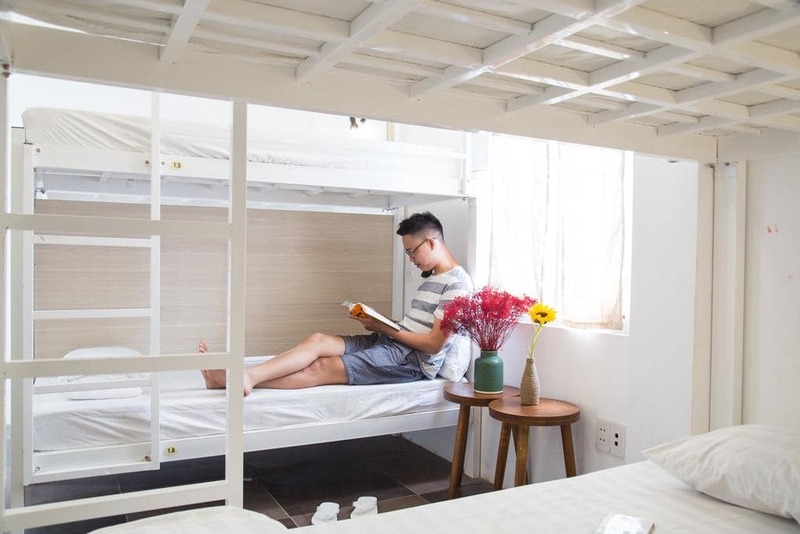 The rooms of the hostel, such as bunk beds and deluxe rooms, are carefully cleaned every day. Moreover, this accommodation has a terrific rooftop balcony where you can breathe in fresh air, cool wind, and the amazing view. Only a couple hundred meters away from the local market, Arica Riverside hotel is a perfect hub for gourmet food. The furniture is stunning, classy, and warming, which makes you just want to hop on a plane to Da Nang soon as possible. Like typical accommodation at the same price, the hotel also offers double rooms and triple rooms. But what makes it special are the superior twin rooms and suites that have a spectacular view of the Han river. Air conditioners, TVs with cable channels, free wifi, and private bathrooms are supplied. With all these advantages, you will definitely have a good time here. 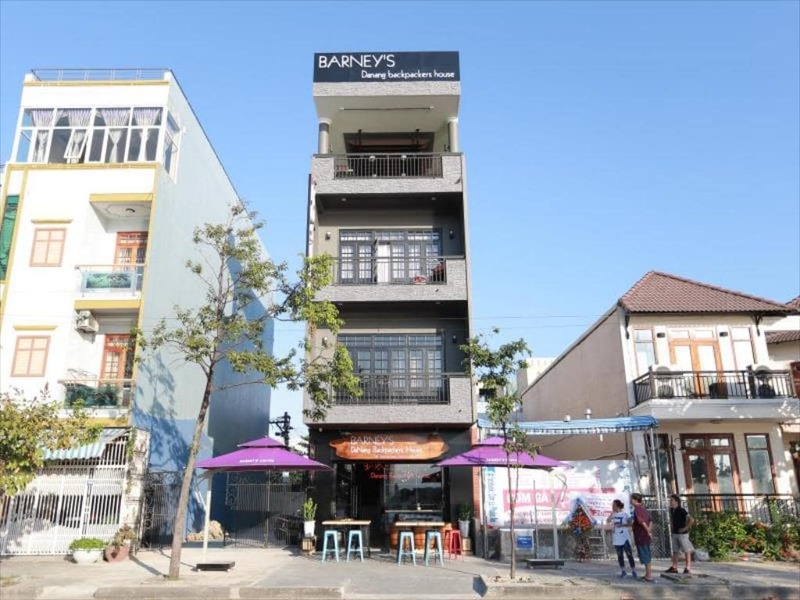 Barney’s Danang Backpackers House is a special accommodation. Although it’s three kilometers away from the Dragon Bridge, this house offers easy access to the city’s must-see destinations such as Son Tra mountain, city museums, and pristine beaches like My Khe and Pham Van Dong. The hotel offers access to a vast array of services, from free Wi-Fi, daily housekeeping, and laundromat to art boards, a golf course (within 3 kilometers), spa, massage, and sunroom. Not to mention, all of their rooms are furnished with a TV, clothes rack, locker, and towels. If you stay here, you will never want to leave. 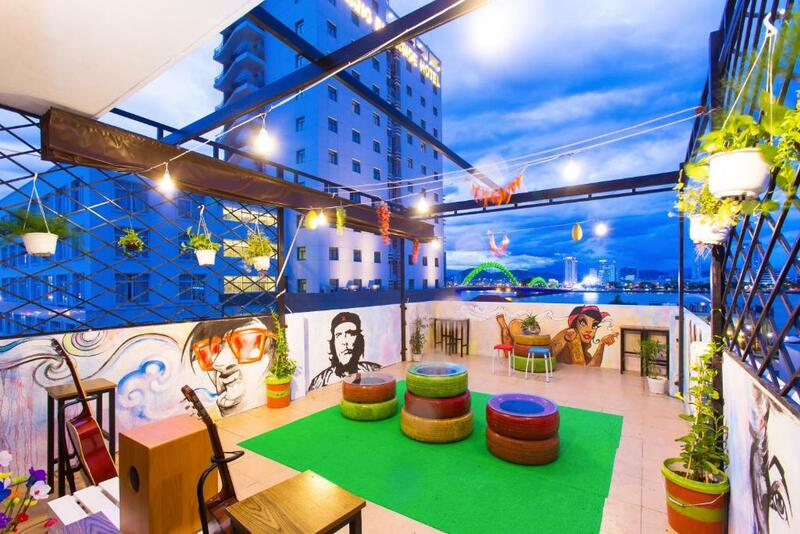 Full of color and creativity, Rom Casa Da Nang is the hostel that will light up your stay. 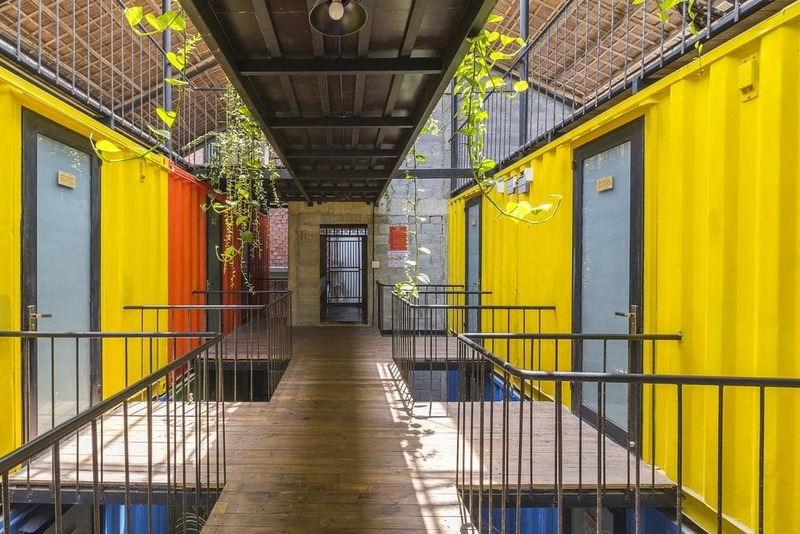 It always surprises me when old shipping containers magically turn into colorful and lively architecture, and Rom Casa has done an incredible job with this. Everything you need is within an arm’s length away since there is a wonderful rooftop terrace, library, barbecue, game room, and swimming pool. All of the rooms come with AC and are fitted with personal lockers, reading lamps, and power sockets. You can find joi just by simply relaxing at the on-site bar downstairs, Rom Café. 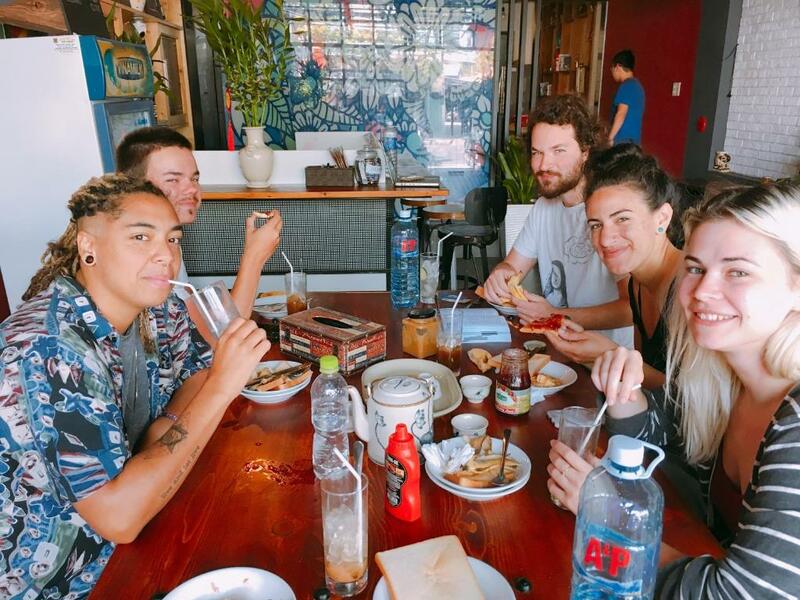 The hostel is just a few steps from the marvelous My Khe beach and from here, you can easily access to Marble Mountains or Asia Park. So take your time, because sooner or later, you will discover this lovely city to the fullest. Many people believe that because of this hostel’s special location, it deserves the name “lighthouse”. In fact, you will have expansive views out to sea on every floor. 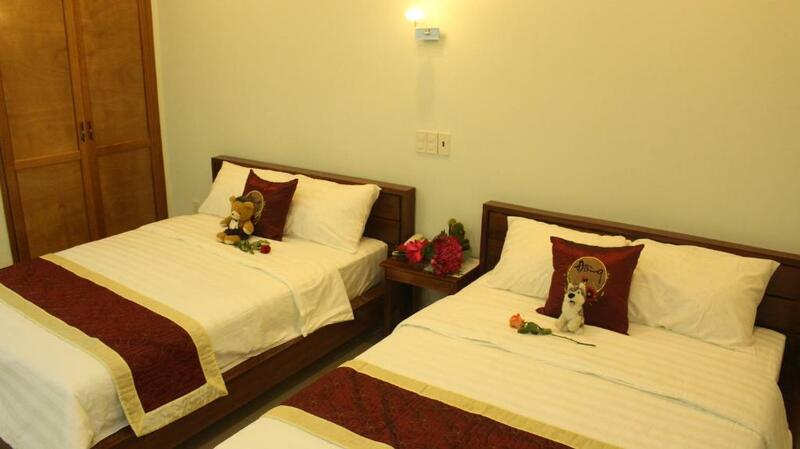 The rooms are incredibly clean, tidy, soothing, and spacious. Staying here will help you kick off a day perfectly since the accommodation offers Western and Asian breakfast. Cheap, convenient, and welcoming are the three most common words that people use to describe this hostel. More importantly, My Khe beach is just 90 meters away from this accommodation, which means you can spend all your time there and still have moments to rest in the hostel! Besides, can you believe that there is a free bus service from the hostel to Hoi An every day? 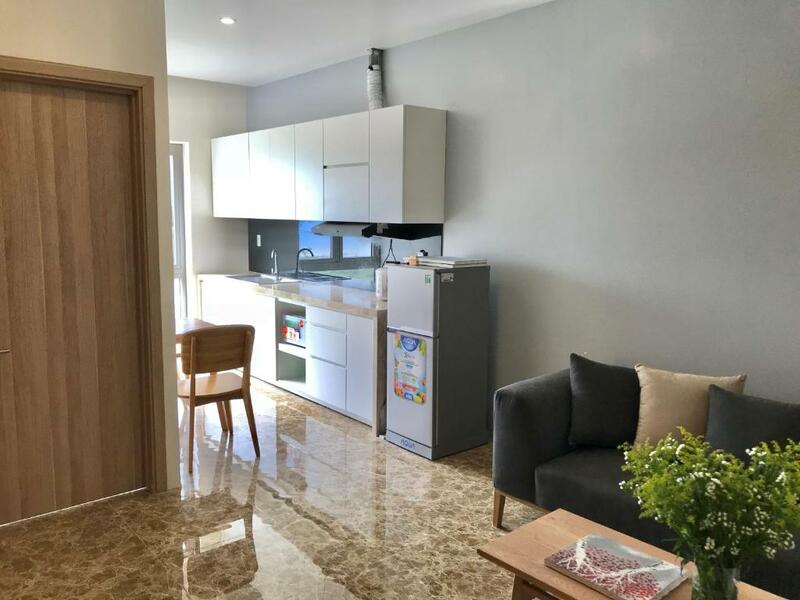 Every room, from dorms, and twin rooms to double rooms and apartments, are well-supplied with tiled flooring, air conditioning, a clothes rack, towels, and clean linens. 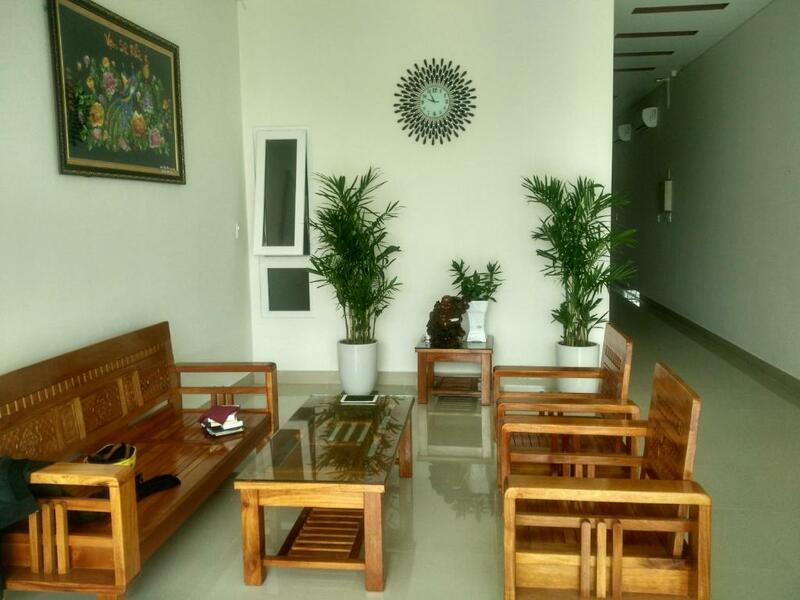 Run by a family, Bong Mai Motel will make you feel the hospitality of the Vietnamese people. At the motel, the quadruple rooms to deluxe family rooms include a desk, a flat-screen TV, a private bathroom, and a fridge. One big plus point for the accommodation is that they have a wonderful terrace where you can watch the waves breaking on the shore. Moreover, you can easily get access to the main attractions, nearby markets, and fishing villages from the motel. What do you require from a hotel? Tidy rooms, nice views, or delicious food? What if I said this place has it all? Offering a sun terrace, each room at this hotel has air conditioners, flat-screen TVs, seating areas, and private bathrooms. From 8 PM to 11 PM every night, there is live music for you to enjoy in their really cool bar downstairs. This hotel also features free private parking, wifi, slippers, and hairdryers. Moreover, there is a 24-hour front desk at the property. The staff here, who can conversely speak in three languages, will be glad to help you with currency and luggage storage. Are you looking for a bike or a car to hike? Ask them and you will get a satisfying answer! Just keep in mind that the My Khe main area is not right outside your door, but the beach is. 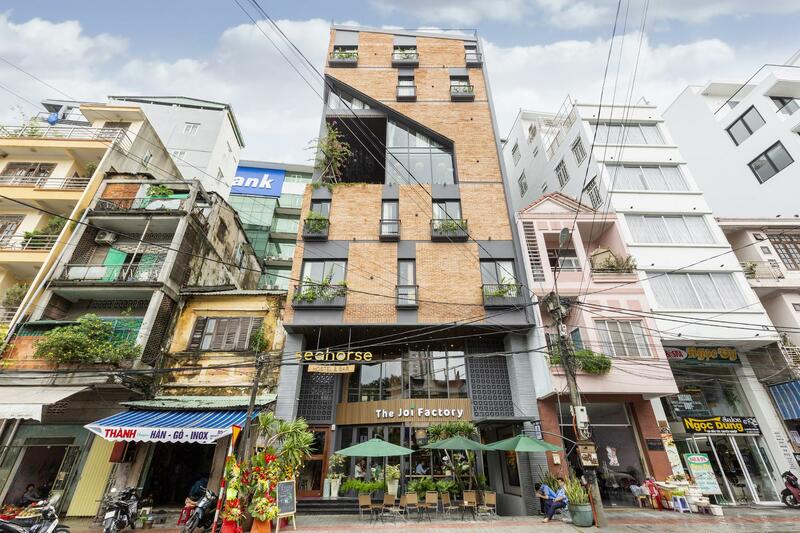 C-Hostel is a one-of-a-kind place with unique architectural features that make it stand out among the rest. Having creatively transformed normal rooms into colorful cabinets, this accommodation has attracted a huge number of travelers, especially the youth. Not only is the playground big, but the hostel also utilizes it very well. The yard is divided into different sections, such as the rest area, coffee spot, BBQ garden, and billiards tables. You can also use wifi and bicycles for free. Are you ready to have fun? You know what? I believe Tropical hostel can surprise you at first sight! This is indeed the most interesting accommodation concept in Da Nang. Moreover, everything inside is clean, neat, and restful. From typical dorms and deluxe rooms to rare capsules and villas, this hostel has them all! Each room includes air conditioning, and some rooms even have a terrace. You can play darts at Tropical Forest Hostel & Apartments, and have free use of bicycles. In the morning, take an early hike to Son Tra mountain and watch the sunrise above the silent city. You came here to relieve your stress right? 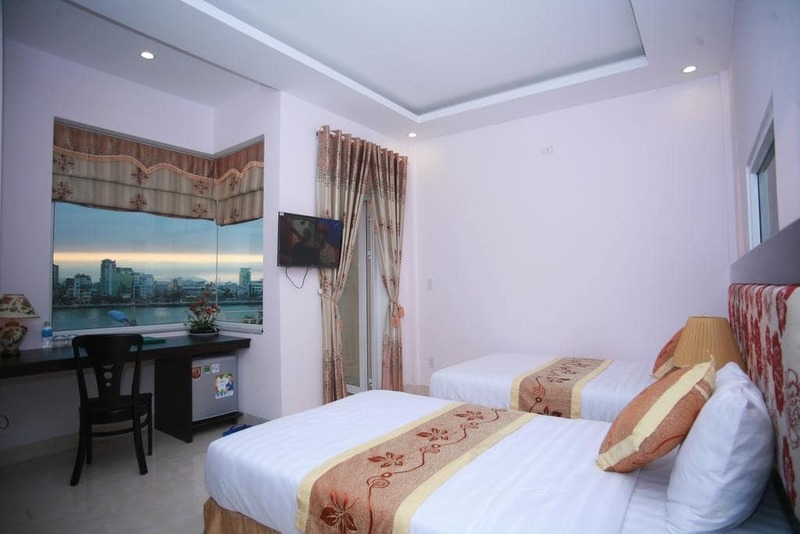 If you are searching for a clean, nice, and cheap accommodation, Huong Hoa Guesthouse should be on top of your list. This guesthouse has every kind of room you may want, from twin rooms and double rooms to family rooms. 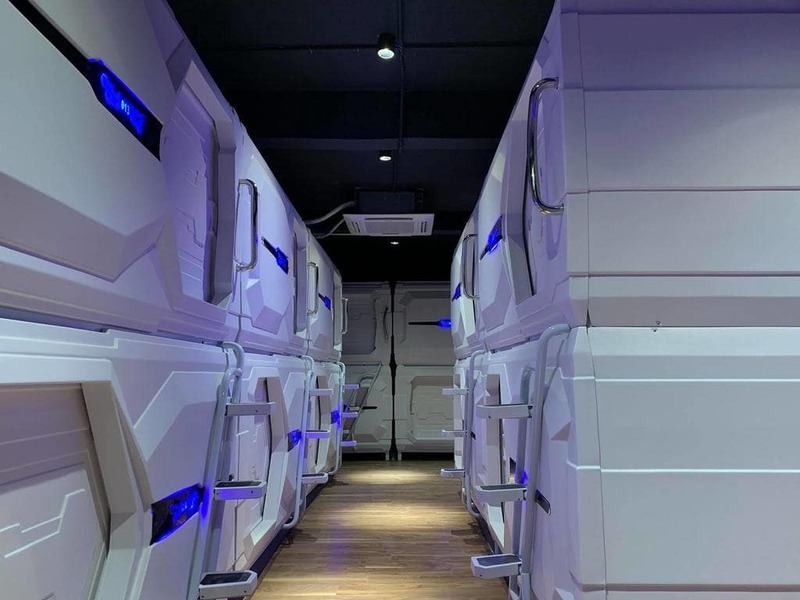 All of them are equipped with a flat-screen TV, private bathroom, and free wifi. 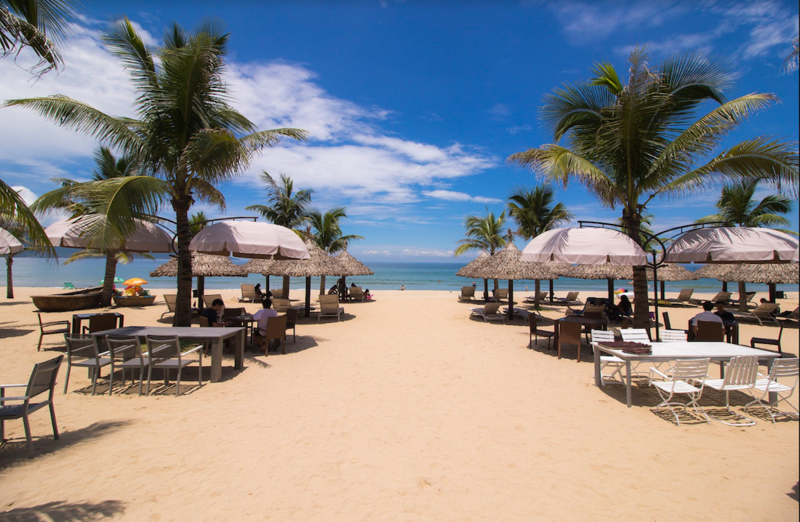 Non Nuoc beach is just a few steps away, so you can easily immerse yourself in the cool water whenever you want. Smile Home NHS is a well-organized home that brings out the modern and traditional charm. Not only furnished with traditional wooden chairs, but its conventional flowery mattress will also make you truly feel like you’re staying in a real Vietnamese house. The hotel offers superior and deluxe rooms, so whether you’re a couple or a family, it can satisfy all your needs! Private bathroom, free wifi, and a TV are also provided. 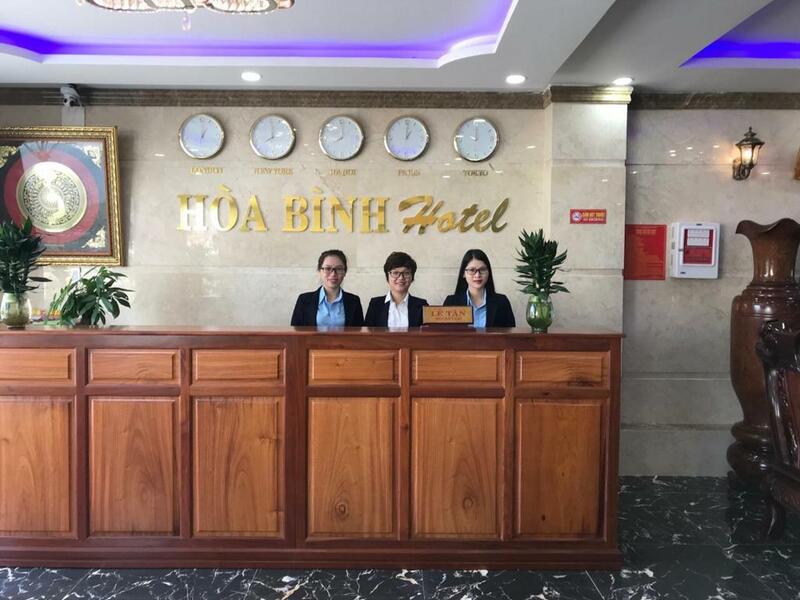 Hoa Binh hotel is such a perfect accommodation from the outside to the inside. Whether you’re a solo travel or a group of friends, you can always find your suitable room here. What do you choose? Single rooms, twin rooms, triple rooms, or deluxe queen rooms? This hotel has them all! On top of that, with balanced lighting and an elegant interior, it will completely put you at ease. Each room is also supplied with an air conditioner, TV, private bathroom, and a working desk. How awesome is that? Do you want to have your own world? Liam house, offering studio apartments, will make your wish come true! Their apartments are well-equipped with everything a house needs, from cupboards, stoves, and fridges to king beds, private bathrooms, and air conditioners. Isn’t it nice to have a place where you can truly relax after excessive outdoor activities? 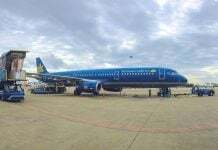 Need a place to rest after a tiring flight? 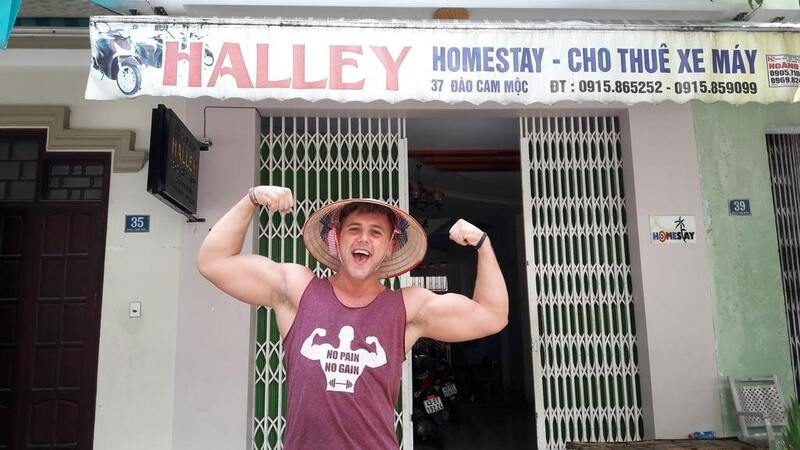 Homestay Halley is worth your time! 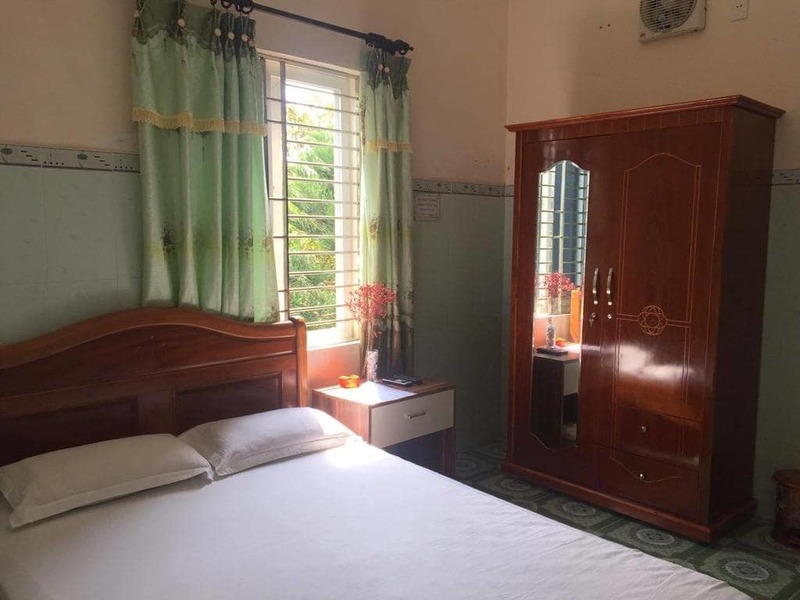 The homestay has large double rooms and quadruple rooms, and all of them are equipped with terraces, free wiFi, air conditioners, and flat-screen TVs. Located in a residential area, this accommodation will also allow you a window into the authentic daily life of the local people. 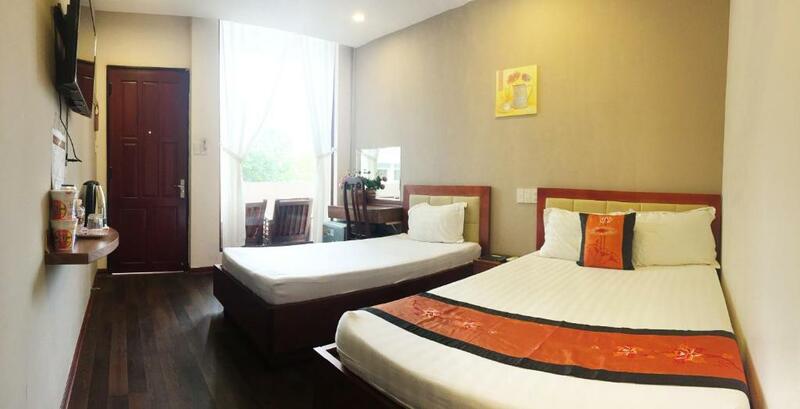 Only one and a half kilometers from the airport, Quan Quan Hotel features air-conditioned rooms with free wifi throughout the property. The rooms are all nice and well-decorated. Free private parking, a kettle, and a flat-screen TV with satellite channels are always available. For your comfort, you will also find free slippers and toiletries in your private bathroom. Car rental is also available, so if you need to hire one, just ask the staff here. 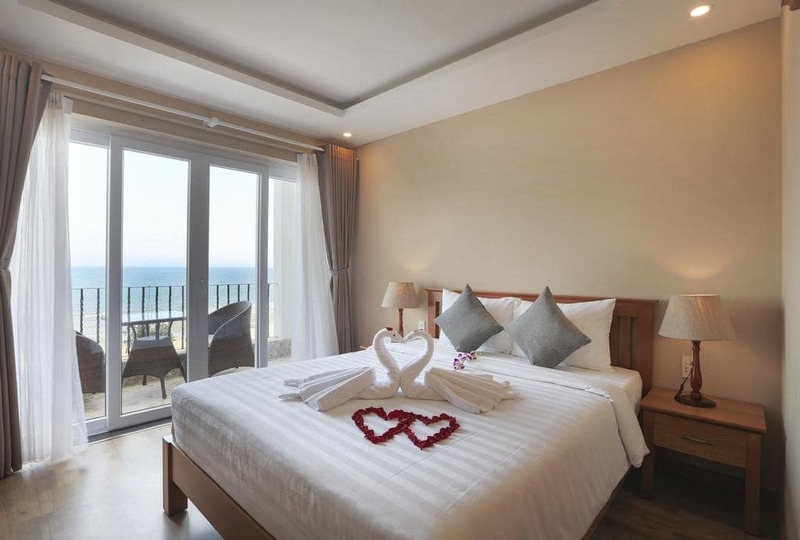 With this guide, I hope that you will be able to find a suitable accommodation for your stay in Da Nang. And don’t forget to check out Your Guide to Authentic Central Vietnamese Cuisine, A Full Guide to Ba Na Hills (The Golden Bridge is Here! 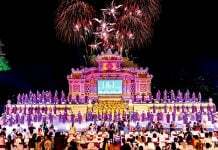 ), and Nightlife in Danang to enjoy your days in this city from head to toe!